Day 3 - Arrive in Sydney, the birthplace of Australia and consistently voted the favorite city of international travelers. Private transfer to the Sheraton on the Park. Day 4 - Private car tour of city sights. Day 5 - Travel to the World Heritage Blue Mountains and Lillianfels Resort, which is perched on the edge of the Jamison Valley. 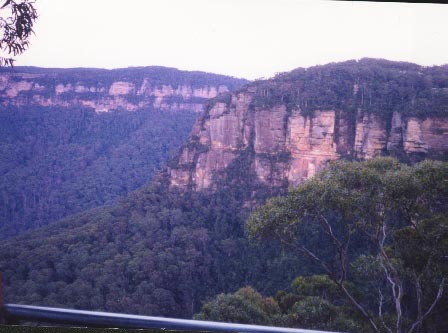 Day 6 - Enjoy hiking and exploring the lush Blue Mountains. Day 7 - Travel back to Sydney Airport for your flight to Brisbane. Private transfer to the Sheraton Mirage Gold Coast, which is set on 37-acres and overlooks the Pacific Ocean. Day 9 - Board the great Southern Express, sister train to Europe's "Venice Simplon Orient Express" and travel north towards the Great Barrier Reef. Day 10 - After breakfast in your compartment, arrive at Proserpine to begin your Great Barrier Reef excursion by seaplane or helicopter to a platform moored on the outer reef. Here you will learn about this unique ecosystem. Reboard the train in the early evening. Day 11 - Breakfast in your compartment as mountains pass en route to Kuranda with a stop at Barron Falls. Disembark at Kuranda to an Aboriginal welcome. A sky-rail cable car offers a birds eye view of the rainforest. Upon arrival in Cairns transfer to the Silky Oaks Lodge. Day 12 - Explore the world heritage rainforest and the Mossman Gorge that surrounds Silky Oaks. Day 13 - Today your guide introduces you to the Daintree, the oldest living rainforest on earth. Day 14 - Transfer to Cairns Airport for your flight back to the U.S.A.